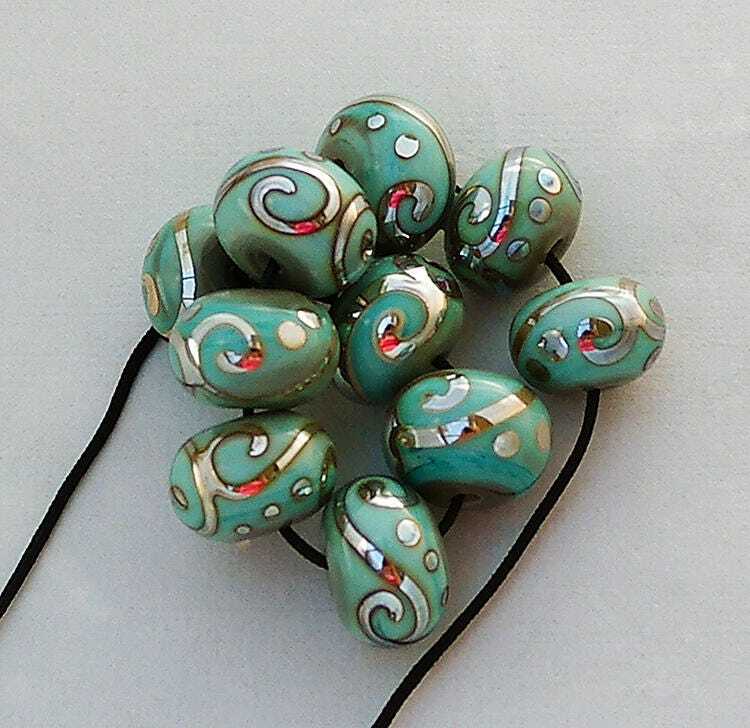 A beautiful set of 10 copper green handmade lampwork glass rounds, with silver glass freehand scroll work. Measurements are roughly .50" (13-14 mm) in diameter for each lampwork bead. My lampwork beads are good for jewelry making projects and craft projects. Keep in mind that this is a made to order set and because so it will be unique but similar to the pictures. Please give me 2-4 weeks to finish your lampwork beads. If I need to order any special items for your lampwork beads, then that may increase the 2 week time frame. I understand from time to time glass beads can break. 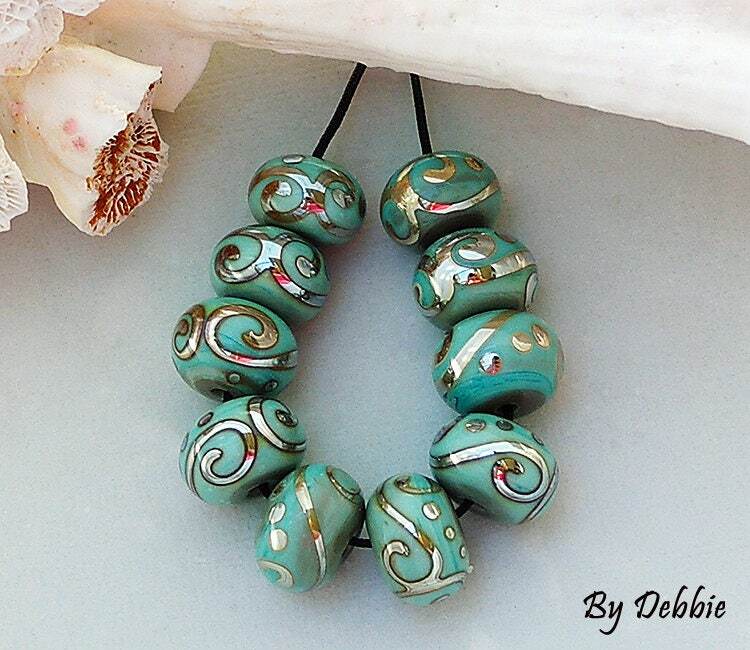 If any of my handmade beads ever break, I would be happy to repair them free of charge, minus any shipping charges. Please contact me for details. Beautiful beads, as pictured. Excellent communication. Thank you! These beads are absolutely beautiful The photos do not begin to do them justice.